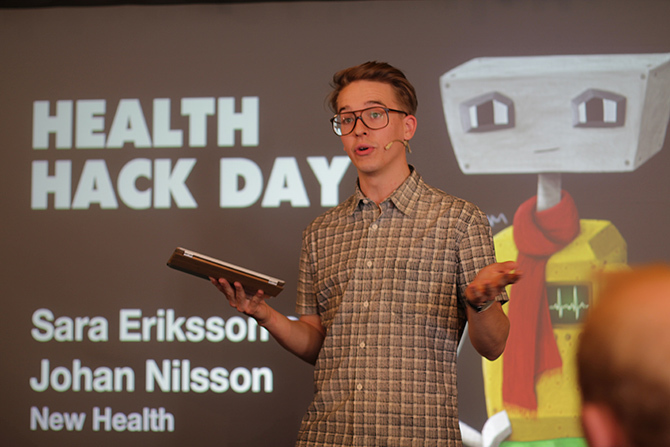 We were invited to participate in the first ever Health Hack Day with Psykologifabriken and Hoa’s Tool Shop. 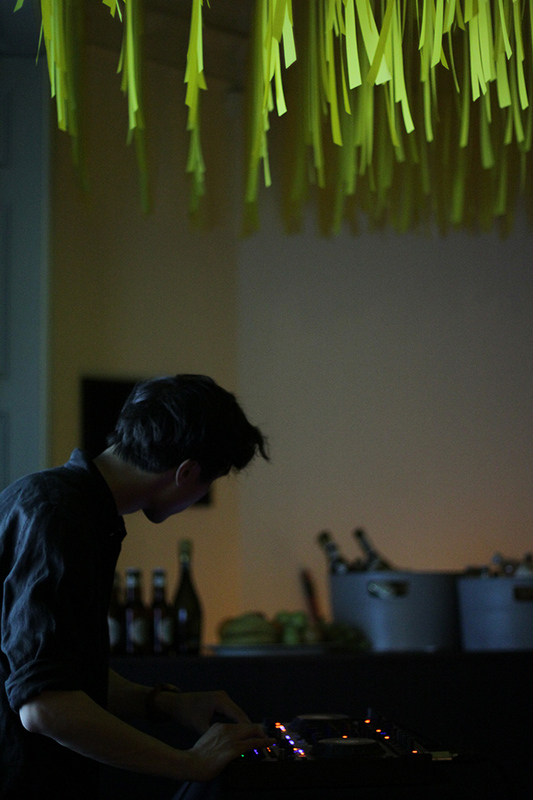 Niklas did a great job at introducing and keeping track of everyone. 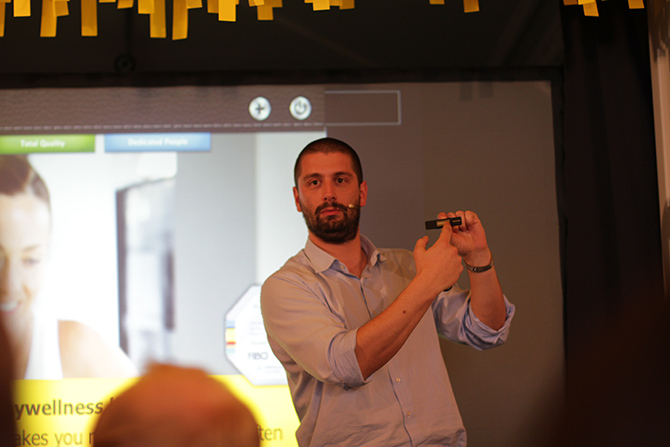 There was a series of talks around eHealth, mHealth and other interesting things, here is Francesco from TechnoGym showing their answer to the slightly sexier Fuelband and related devices. His and Megan Miller’s talk on how they made Teemo were along with Hoa’s introduction among the most interesting. Watch them all here. We spent the time there hacking one Arduino, and then we took breaks and had coffee from another. Hoa delivered exquisite beats alongside the Euphoric Felines, performing the feat of turning a day of talks into a night of dancing. Brilliant.